James C. Hoe was just two years old when his family left Leicestershire, England, for New York in 1815. His father, William, started business as a builder that year. The family lived at No. 10 Liberty Place, then known as Little Greene Street. On August 6, 1822 Alfred Clarke Hoe was born. James was placed in "the common school," but his ambitions put an end to his formal education early on. The Sun later explained "he entered his father's office at an early age, and obtained a practical knowledge of everything pertaining to the building business." At the age of 27 William took James as a partner, changing the name of the firm to William Hoe & Son. By 1849, the year William died, James's brother Richard was working in the firm, which became Richard & James C. Hoe. Alfred was soon a member, as well. Following Richard's death in 1865, the name was once again changed, this time to James C. Hoe & Co. (despite the fact that Alfred was a co-partner). At the time handsome brick and brownstone residences had risen along West 14th Street for more than a decade. In 1851 two matching mansions were completed at Nos. 325 and 327, between Eighth and Ninth Avenues. At 25 feet wide and four stories tall above the basement level, they were intended for wealthy occupants. Italianate in style, they stepped away from the expected with decorative corbels between the foliate cornice brackets that smacked of Gothic Revival. The interesting stone eyebrows over the openings were exaggerated at the parlor level, where they dripped down along the sides, again suggesting Gothic. The floor-to-ceiling windows opened onto full-width, sturdy iron balconies. By 1873 James and Alfred purchased the side-by-side mansions--James taking No. 325 and his brother No. 327. 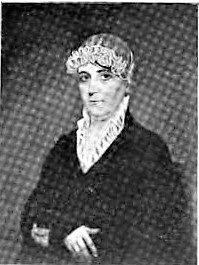 James had married Temperance Mulford Miller in 1837 and the couple had four children, William, Isabel, George, and John. Alfred married Mary Frances Lyon on August 26, 1849, the same year his father died. The couple already had four daughters--Mary Frances, Emma, Anna and Amelia--when the family's population was increased by three in July 1862. The triplets were names Ella, George and William James. Brothers James and Alfred were highly respected in the building business. They were responsible for notable buildings like the McCreery Dry Goods store, the A. T. Stewart emporium, Tiffany's impressive store at No. 550 Broadway, and Niblo's Theatre. Alfred's construction expertise led to his being called upon to testify in the investigation as to the causes of the deadly partial collapse of Madison Square Garden of April 21, 1880. In at least one instance Alfred was credited with being the architect of a James C. Hoe & Co. building, at No. 8 East 14th Street. The cornice detail is highly unusual and especially handsome. Both James and Alfred were members of the General Society of Mechanics and Tradesmen, a highly-respected group of professionals. For years Alfred served as treasurer of its Literary and Scientific Committee. He was also a member of the Board of Education for decades. All wealthy New York families escaped the stifling city heat in fashionable resorts or country homes. But while the rest of the family enjoyed their leisure, business had to be dealt with. The head of the household spent most of his summers in the city, sometimes sleeping at his club, and traveling to the country on weekends. James purchased a summer estate in East Moriches, Long Island. The family was already there on June 23, 1880 when he left the city to join his family. He intended to stay an entire week. A bizarre incident turned the vacation to tragedy. "While there he became lame in consequence of a misfitting shoe, and gangrene set in," reported The Sun on September 14. "The poison entered the blood and killed him." Hoe was 66 years old. The newspaper added, "He was tall and stout, with a clean-shaven, ruddy face, and pleasant features." James Hoe's body was returned to the 14th Street mansion and his funeral was held in the Church of the New Jerusalem, at No. 114 East 35th Street, which his firm had built. His brother, Alfred, died on December 13, 1887. James's sons, William and George, had joined the firm by now. In 1885 George had followed in his uncle's footsteps by being appointed a Trustee of Common Schools for the 16th Ward. Their cousins next door, William and Alfred, were also builders in the family business. The two widows remained on in their homes. On November 17, 1894 Temperance, now 78 years old, died suddenly in No. 325. Her funeral was held in the house three days later. The heirs retained possession, but by 1900 were leasing it. That year Ida W. Hubbell, the soprano soloist at St. Mary's Church, lived here. She offered voice coaching lessons, noting "a limited number of pupils taken." In 1903 the family leased No. 325 to Dr. Leroy B. Sherman. The wealthy physician was also vice president and a director of the Bunker Hill Mining & Smelting Co. A graduate of the New York Homeopathic Medical College in 1889, he was married to the former Fannie E. Franklin. The couple had three grown children. Sherman was called to a heart-breaking scene in June 1910. George F. Catlett was 22 years old and the chief chemist of the Western Electric Company. He and his 24-year old wife had a two-month old baby girl, Jeannie. 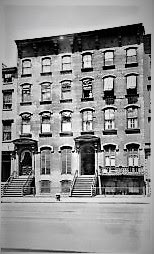 Catlett's brother-in-law, Thomas Hodgson, lived with the couple in their apartment at No 337 West 14th Street. He had arrived in Manhattan from Virginia about the time of the child's birth to become Catlett's laboratory assistant. The young mother suffered from what today would be recognized as postpartum depression. The New York Times noted "Ever since the birth of the baby Mrs. Catlett had been under treatment for nervousness." On June 30 the two men came home to find both mother and baby dead. Dr. Sherman was called in, but it was too late. Mrs. Catlett had given her baby cyanide, then drank it herself. Sherman reported "the potion she had prepared was enough to kill twenty persons." 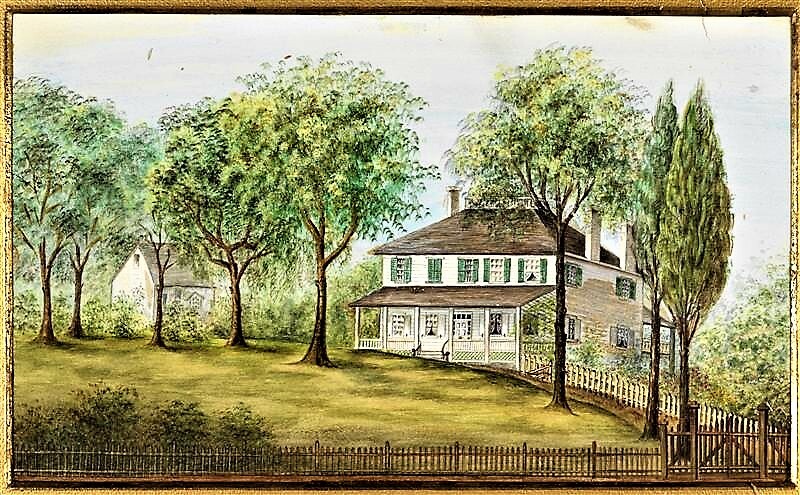 After leasing the house to Sherman for 18 years, the family finally sold it to him in 1921. He continued practicing medicine until his death on June 15, 1932. The New York Times wrote "Chelsea has lost one of its most familiar figures in the death...of Dr. Leroy B. Sherman, 72 years old, of 325 West Fourteenth Street. A 'family practitioner' of the old school, Dr. Sherman had practiced in the Fourteenth Street area for the last forty-three years and had lived at his last address for twenty-three years." Three years later, in April, Fannie sold the house. In the meantime, Mary and several of her children had lived on in No. 327 following Alfred's death. Ella, the youngest daughter, died on December 5, 1901. Her funeral was held in the house two days later. When Mary Frances Hoe died in the house at the age of 90 on October 23, 1918, at least three of her children were still living there--Alfred, William and Annie. Annie, who never married, would be the last of the family to stay on. She died in the house on August 11, 1943 at the age of 87. Hers would be the last family funeral held in the old mansion. The James C. Hoe house had become Reddin's Funeral Home by 1947. In 1958 a conversion resulted in a "smoking room" and chapel in the basement level, two chapels on the parlor floor, and residential space above--a single apartment on the second floor and rented rooms on the upper stories. While Reddin's Funeral Home was the scene of notable services, two would stand out. Lawyer and politician Thomas Jerome Curran died on July 29, 1958. He had served as Secretary of State of New York from 1943 to 1955. Newspapers reported that thousands of mourners paid there respects at Reddin's Funeral Home. Then, in March 2007 two young Auxiliary Police officers, Nichola T. Pekearo and Yevgeniy Marshalik, were murdered after confronting a gunman in Greenwich Village. David R. Garvin had just fatally shot a pizzeria worker on West Houston Street. The New York City Police Department gave the men full department honors. The funeral for 28-year old Pekearo was held on March 17 in Reddin's and both Police Commissioner Raymond W. Kelly and Mayor Michael R. Bloomberg spoke. Outside, 14th Street was closed as "row after row in crisp blue uniforms and white gloves," as described by The New York Times' Manny Fernandez, stood at attention while the slain officer's casket was carried to the hearse. Today the basement and parlor floors of the homes have been heavily altered, and corniced lintels were added at some point. But the two mansions retain their handsome residential appearances; reminders of a period when some of Manhattan's wealthiest citizens made West 14th Street home. 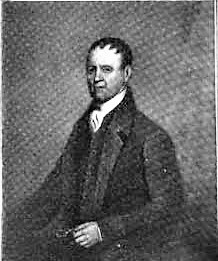 John White arrived in Baltimore from Ireland soon after the Revolutionary War. He established John White & Co. in New York in 1804. Among the merchant's 10 children were Robert and Campbell, both highly successful and wealthy. By 1832 Campbell had moved his family to No. 145 Chambers Street. The upscale block between West Broadway and Greenwich Street attracted well-to-do homeowners, like merchant Ellis Potter who lived next door at No. 143. Despite Campbell's large family (he had 10 sons), Robert, who was still unmarried, moved in. Both men were well respected. Not only did they continue their father's business, Campbell was elected to Congress in 1829 and was re-elected for four successive sessions, And both were directors in the Manhattan Bank. That position would bring about the end of their respectability. On March 21, 1840 the Manhattan Bank was on the brink of collapse and two men were held responsible for the failure. The day before Robert White had been arrested. The Morning Herald was not sympathetic. It reported "The Recorder, no doubt, means to act with the firmness of the Roman, Lucius Junius Brutus; and when Bob is found guilty, the Recorder means to tell him...that 'this breaking of heads with bludgeons from behind, and assaulting respectable people, is a serious offence"...and that he must 'suffer some'." He and his brother had been, in effect, embezzling bank funds through a complex series of loans to one another. The Morning Herald opined "The slovenly manner in which the whole of the affairs of this bank has been managed reflects lasting disgrace on the whole of the direction, all of whom should immediately resign." Within a decade commercial interests would begin pushing the wealthy homeowners away from Chambers Street. Robert and Campbell's brother, John C. White, demolished the house in 1854 and erected a store and loft building. In doing so he damaged the party wall with the Ellis Potter house; resulting in a lawsuit that dragged on until April 1861. The upper floors of the five-story building were nearly residential in character. The picture frame-like architrave surrounds of the openings sat on carved sills upheld by scrolled brackets and were topped by handsome cornices. The cast iron store front, with its fluted Corinthian columns and pilasters, was among the first in a trend that was rapidly taking hold. The concept of precast iron architectural elements in New York was only about six years old at the time. 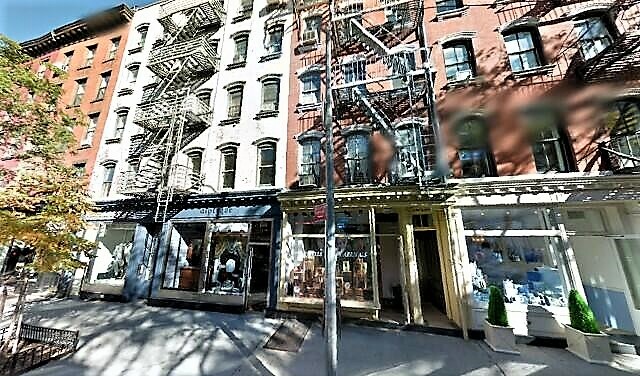 Within the next decades the Tribeca and Soho neighborhoods would see the rise of scores of cast iron fronted structures. Among White's first tenants were E. W, Parker, and brothers M. M. and C. C. Keeler. It is unclear what businesses they were involved in. By at least 1874 Louis E. Howard occupied the retail space where he sold knives and cutlery. Well-heeled passengers of public transportation were well advised to guard their possessions, as ruffians and gangs took advantage of the crowded streetcars. On Mach 18, 1874 Louis E. Howard was on his way home, riding on the rear platform of a Broadway streetcar. As he was getting off at Fourth Street, he "was jostled against by a gang of thieves," reported The New York Times, "and in the crush his watch and chain, valued at $160, were stolen." The gold watch would be worth nearly $3,500 today; but while Howard knew he had been robbed, he remained cool. Instead of alerting the crooks that he was aware of the theft, he silently followed one until he found a police officer. William Stanton was arrested and held on $1,000 bail. Howard's watch was found in his pocket. Howard would be back in a courtroom two years later, Chicagoan George H. Martin had dropped into the store on August 14, 1876. The 31-year old browsed among the goods, then attempted to leave. But he had been watched by a suspicious salesman, who barred his escape. When he searched Martin's coat, he found $46 worth of pocket knives. The handsome window treatment would have been equally appropriate in a high-end home as in the loft building. By the last quarter of the century the produce district was centered around the Chambers Street block. John Early was in the building by 1886 when his most lucrative contract was with the City of New York. In September alone that year J. Early & Co. supplied the Department of Public Charities and Correction with "2,800 pounds Rio coffee, 3,000 pounds oatmeal, 3,500 pounds rice, 12,000 pounds brown sugar, 2,000 pounds coffee sugar, and 3,000 pounds starch." Early remained in the building for several years, providing the Department with enormous amounts of food staples. By the mid-1890's J. S. Barron & Co., "jobbers of Wooden Ware, Cordage, House Furnishing Goods, &c." was here. Like John Early, it enjoyed civic contracts, like the 1890 order for $362.50 in "naval supplies" for the New York Navy-Yard (that contract was doubled the following year). But in 1895 the firm jumped on the rabid new fad that swept America--the bicycle. The Iron Age reported on November 21 that J. S. Barron & Co. would be representing Davidson & Sons of Chicago; including the popular "bicycle built for two." The journal wrote that the Davidson Bicycle "is made in four models--men's road wheel in three heights of frame, ladies' wheel, diamond frame tandem and combination tandem." The C. C. Stutts Glass Company operated in an upper floor at the time, run by brothers Arthur C. and Conrad C. Stutts. The firm represented the Pennsylvania flint glass manufacturers Agnew & Co., among others, in 1898. It would stay on at No. 145 Chambers Street through the turn of the century. In 1902 J. S. Barron & Co. erected its own building at Franklin Street and West Broadway. At that time the tenant list at No. 145 Chambers Street was changing. 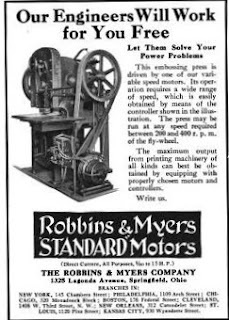 Robbins & Meyers dealers in electric motors had been here at least a year. It advertised its "Standard Motors" as "made especially for linotype machines, presses, cutters, binders, staplers and other printers' machinery." The firm was soon joined by the Virginia-based Richmond Electric Co. It too sold printers' motors. Both companies would be in the building through, at least, 1914. Despite the implication of its name, the Standard Scale and Supply Co., which moved in by 1916, sold "sand mixing machines." Machinery manufacturers filled the building until 1931 when B. Schnee and the Northam Trading Company, candy wholesalers, leased the entire building. Within the decade it was taken over by another confectioner, S. F. Hollander, Inc. The president of S. F. Hollander in 1940 was 38-year old David Sanders who lived in Brooklyn with his wife. He arrived at the office at 9:00 on November 19 that year, a day that seemed to be no different that any other. At around 11:00 Sanders took the elevator up to the fifth floor, which was used as the stockroom. His prolonged absence was apparently not given much thought until an employee discovered his body a few hours later. Sanders had devised a noose from twine and tied it around a rafter. The material was not strong enough to hold his weight, and snapped when he attempted to hang himself. He was found on the floor with the noose around his neck. Although the cord had not held, the action had snapped his neck. The last quarter of the century saw remarked change in Tribeca. In 1990 No. 145 Chambers Street was home to the Contemporary Russian Art Center of America. The Center originated as an exhibition space for contemporary Soviet art; but was now a repository of Soviet art, books, magazines, photographs and documents. Like so many Tribeca loft buildings, the upper floors were converted to residential space in 2010--just one apartment per floor. While the storefront has been heavily altered, the early columns and pilasters--including their ornate capitals--survive after more than 160 years. In 1890 developer Robert B. Lynd began construction on an ambitious scheme of ten upscale homes wrapping the northwest corner of Madison Avenue and 84th Street. Designed by prolific architect John H. Duncan, the showpiece of the harmonious group would be the corner mansion. Duncan was well-established and had designed the just-completed mansion of Philip Lehman at No. 7 West 54th Street. But it would be his later monumental works--Grant's Tomb and the Soldiers' and Sailors' Memorial Arch in Brooklyn--for which he is best remembered. It appears that shortly after the construction began Lynd realized he had overextended himself financially. 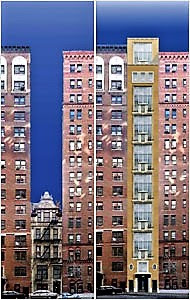 The four residences on 84th Street were never built. Completed in 1892 the handsome row was clad in red brick and trimmed in terra cotta. Cornices and bandcourses ran uninterrupted from house to house, keeping the visual weight of the row low and the emphasis horizontal. An elaborate terra-cotta frieze below the cornices, and two-story Ionic pilasters above the parlor level of all but the corner house exuded an imperious, Regency-period air. Lynd's financial problems continued when No. 1130 Madison Avenue did not immediately sell. He lost the property in 1894 when the Washington Life Insurance Company foreclosed. Of Lynd's $49,250 building loan, he still owed $47,365. Five years after its completion, Washington Life Insurance sold No. 1130 to Alice Grace Holloway. The daughter of shipping tycoon and former mayor William R. Grace, when she married William E. Holloway in 1885 he was made head of the San Francisco branch of J. W. Grace & Co. The Holloways would have one son, William, Jr.
On June 20, 1892, Holloway, "a prominent figure in San Francisco society, among athletes, and in several clubs," according to The New York Times, was thrown from his horse. His broken leg had to be amputated. Shock and blood poisoning led to his death four days later. Now back in Manhattan, Alice had resumed her upscale lifestyle. In November 1898, the year after she purchased No. 1130, she hired architects D'Oench & Simon to do minor renovations--"servants' stairs put in, [and] a well hole to be cut in 2d story." Alice seems to have gotten more for her $250 than new stairs. She continued to entertain and move within society. On November 21, 1899, for instance, she hosted a breakfast for Manhattan Alumnae Association of Mount St. Vincent Academy. The Times mentioned that the membership "includes most of the well-known society women in New York who are Roman Catholics." One frequent visitor to the Holloway house received no press coverage until November 1900. 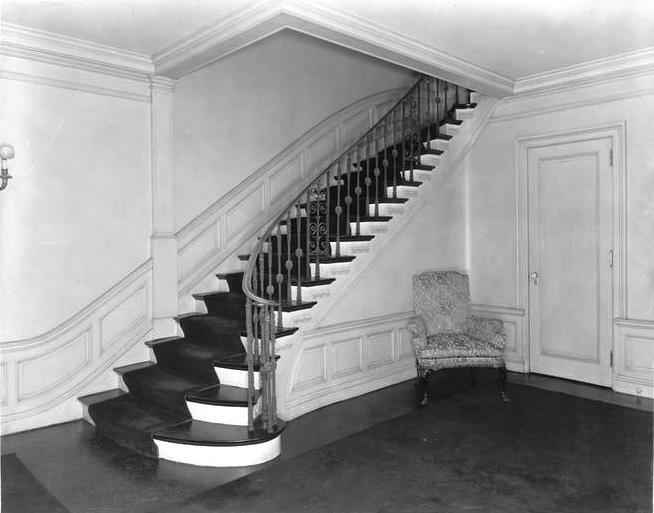 That month the engagement of Alice to Albert F. D'Oench, the 48-year old architect whose firm had installed her staircase, was announced. The couple was married in the Grace mansion at No. 31 East 79th Street on January 10, 1901. William Holloway, Jr. gained a half-brother with the birth of Russell Grace D'Oench nine months later on October 24. A delicate Greek key bandcourse cuts through the first floor openings, cleverly creating stained glass transoms. The family maintained a country home at Manhasset, Long Island. It was there, after a long illness, that Albert died on July 21, 1918. 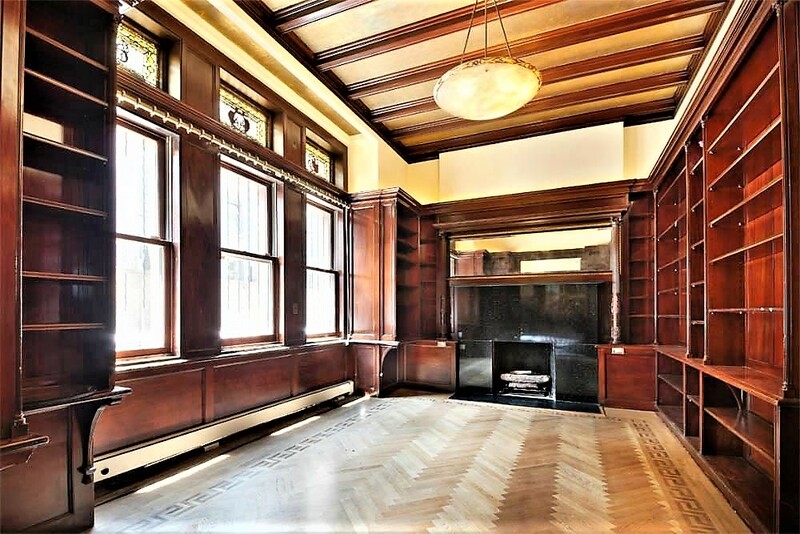 Alice had sold the Madison Avenue mansion four years earlier, in February 1914, to Edward R. Finch for $70,000--a little over $1.7 million today. A highly visible politician and lawyer, he had married Mary Livingston Delafield a year before. Finch's American roots could be traced back to Abraham Finch, who arrived in 1630. Mary's pedigree was no less impressive. She was descended from Francis Lewis and Philip Livingston, both signers of the Declaration of Independence, and Chancellor Robert R. Livingston who administered the oath of office to George Washington. The couple wasted little time in doing renovations to their new home. Three months after the sale they hired the architectural firm of Sommerfeld & Steckler to do $5,000 in alterations. The updating included converting an upper portion of the mansion to an upscale apartment. Finch began his political career in 1901 when he was elected to State Assembly. In 1915 he was appointed to the Supreme Court by Governor Charles S. Whitman. Both he and Mary were staunch advocates for children. Finch was a founder of the Child Welfare Commission, and was the author of the first child labor law introduced to the State Assembly. Among her many altruistic activities, for years Mary would serve as president of the Ladies Auxiliary of the Soup School, and board member of the Washington Square Home for Friendless Girls. The first addition to the Finch family came on Christmas Day, 1914, when daughter Mary was born. Her auspicious birthday earned her the second name, Noelle. There would be two more children, Anne Crane Delafield, born on March 13, 1918, and Edward Ridley, Jr. on August 31, 1919. Little Edward arrived at the Finch's country estate in West Hampton Beach. The apartment in the Finch mansion was leased to upper-class tenants. Mrs. E. du Pont Irving moved in in November 1918; Carl H. Randerbrock, whose name routinely appeared in society columns, signed a lease in October 1921; and in the 1930s Alex Voroniesk was here, reputedly a count from an aristocratic Russian family. The quiet of the affluent residential neighborhood was threatened in April 1922. For years every May Day saw communists, socialist and anarchists staging often violent demonstrations. This year the police department was determined there would be "no possible radical outbreak." The bomb squad and special units were placed on special patrols, watching demonstrations carefully for suspicious packages. And the homes of highly-visible lawmakers were given attention. The New York Herald reported that the Finch house would be carefully watched. That same year President Warren G. Harding sent Finch to Brazil as Emissary Extraordinary and Ambassador during the Brazilian centennial observance. The first of several debutante entertainments began on the afternoon of November 4, 1933 with an afternoon reception for Mary. The New York Times noted "Judge and Mrs. Finch will give receptions for their daughter next Saturday and on Nov. 18. On Thanksgiving Eve, Nov. 29, they will give a small dance at their home for the formal introduction of their daughter." The year 1936 would be a busy one for the Finch family. On November 14, 1936 Mary was married in a fashionable St. Bartholomew's Church ceremony to Francis Waller Haskell. An attorney, Haskell had been educated at Exeter Academy and West Point. The reception was held in the Madison avenue mansion. Edward and Mary had little time to breathe. Less than three weeks later the first of the debutante entertainments for Anne was held in the house. She was introduced with a major splash. The Times called the supper dance a "large party" and noted that "many dinners were given before the dance" by other socialites in anticipation of the event. Now a member of society, Anne threw herself into hosting. Her many dinners, receptions and teas were often for the benefit of charities or organizations. Apparently unhurried, it was a full decade after her debut that she was married. Like her sister, she was wed in St. Bartholomew's on May 8, 1943. Her husband, Major Howard Ellis Cox, was a member of the Army Air Forces. The wartime ceremony was evidenced by the many military uniforms among the wedding party, including Anne's brother, Captain Edward R. Finch, Jr., Army Air Forces; and her brother-in-law, Major Francis W. Haskell of the Army. In an interesting side note, Anne's and Howard's son, Edward Ridley Finch Cox, would be married on the White House lawn to President Richard Nixon's daughter, Tricia, on June 12, 1971. The year of Anne's marriage her father, now 70 years old, retired from the Court. He did not slow down, however. He immediately established the law firm of Finch & Schaefler and continued work as an active senior partner. The elderly man received a heart-warming gesture from his son in 1950. Edward asked him to be his best man at his wedding to Elizabeth Brewster Johnson. Elizabeth, like her new husband, had an impressive family background. She was descended from Elder William Brewser of the Plymouth Colony, and from Rev. Moses Hallock, an early settler in Plainfield, Massachusetts. 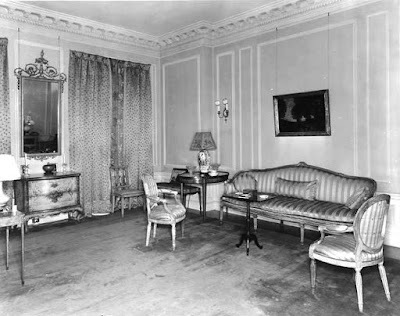 Mary and Edward lived on in the Madison Avenue mansion. She remained active in her charities, and he continued to practice law. Then, on January 25, 1961 Mary died in the house at the age of 80. Three years later Edward Finch stepped down as active partner of his law firm, taking the position of counsel to the office. He died in his Westhampton Beach country home a year later, on September 16, 1965. He was 91 years old. The Finch family retained ownership of the house until 1974. In 2001 a store space was carved into the Madison Avenue elevation. 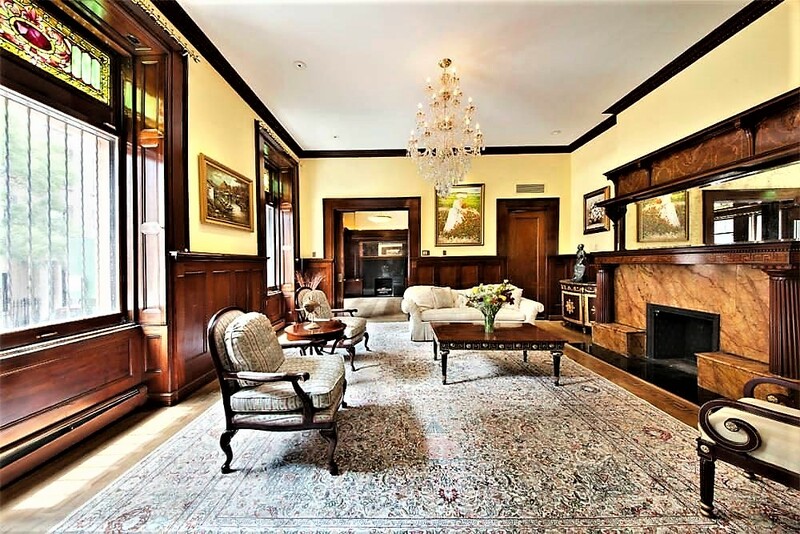 The 15-room single family house (the apartment was by now done away with) was purchased in 2003 for $5.5 million by Maryam Ansary, ex-wife of former Iranian ambassador to the United States, Hushang Ansary. Apparently seeing the house as a financial opportunity, she placed it on the market a month later for $20 million. With no takers she reduced the price until investor Lily Lee Lee Wong paid $12.1 million in June 2007. Taking a page from Ansary's book, she relisted the house the next month for $24.5 million. One of her brokers was frank, telling The Observer "I don't quite get what she's doing here. But obviously at $25 million she's not going to do it." Indeed, when the mansion came on the market again in 2015 it was listed at a more reasonable $15.5 million. The offering listed "four bedrooms, seventh baths, four wood-burning fireplaces, [and] two gas fireplaces." Thanks to the 60-year residency of the Finch family, the house--inside and out--is largely preserved. The neighborhood around Ninth Avenue and 51st Street had earned the unflattering nickname Hell's Kitchen by 1877. Notorious as a center of poverty, crime and violence, its streets were lined with dilapidated wooden structures. Newspapers reported that even some police officers were fearful to walk its streets; and many of those who did "profited to a greater extent by being discreetly deaf, dumb, and blind" to the criminal activities around them. Mary Ann O'Brien was a widow who owned the two-story wooden building at No. 405 West 51st Street. On the first floor was a store, and while upstairs portion was probably intended for one family, it is likely she shared it with roomers. On October 25, 1877 she sold the property to Anton Mohren for $3,400--just under $82,000 today. Mohren ran his "horse and wagon" business from the store and rented the upper portion of the building. The conditions of the neighborhood and the structure itself are evident in a report from the Health Department the following year. On October 22 the Disinfecting Corps offered to give Mohren a few months to correct problems. The Health Board resolved that orders against the building "be hereby suspended until May 3 1879." Anton Mohren was successful enough that he made major renovations to the building in 1884. On April 11 he filed plans to add a third story, and remove and replace the front facade. His $2,000 make-over (nearly $50,000 today), cost him about two-thirds of his original purchase price. But he now had an up-to-date, if modest, brick-faced edifice with a metal cornice and cast iron storefront. It was a marked improvement to the old wooden structure. It seems that Mohren had borrowed the money from his son-in-law, William Blatt. In turn he transferred title to Blatt. In what appears to have been a warm gesture, Blatt returned the title to Mohren "during life" on September 16, 1886. The deed directed that after Mohren's death, it would pass to his two children, Annie Blatt and Anton, Jr.
At the time George F. Liginger and his partner, M. Siebert, ran the butcher shop around the corner at No. 765 Ninth Avenue. Their business was large enough that they owned a delivery wagon and horse. By the turn of the century Liginger invested in real estate as well by purchasing No. 405 West 51st Street. Hell's Kitchen was not the best area for real estate investment. The building was "sold" four times from 1915 to 1921, but like the proverbial bad penny, it always ended up back in Liginger's name. Finally in December 1921 it was purchased by John and Patrick Mullen. At the time the property was assessed at between $8,500 and $9,000. The Mullen brothers had owned properties in the immediate area since the 1880s. Their office was nearby at No. 761 Ninth Avenue. Within weeks they hired architects Ross & McNeil to do $2,000 in upgrading--removing an interior wall and installing new beams and columns. The Hell's Kitchen neighborhood remained gritty through most of the 20th century; so it is surprising that at mid-century the former store space was home to the Artists Opera Guild. 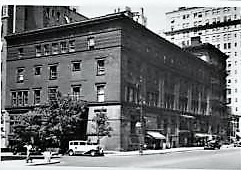 In reporting on "Programs of the Week" on June 4 1950, The New York Times noted that Madama Butterfly would be performed here that night at 8:15. Gentrification and change eventually did come to the area; perhaps no where more evident that at No. 405 West 51st Street. 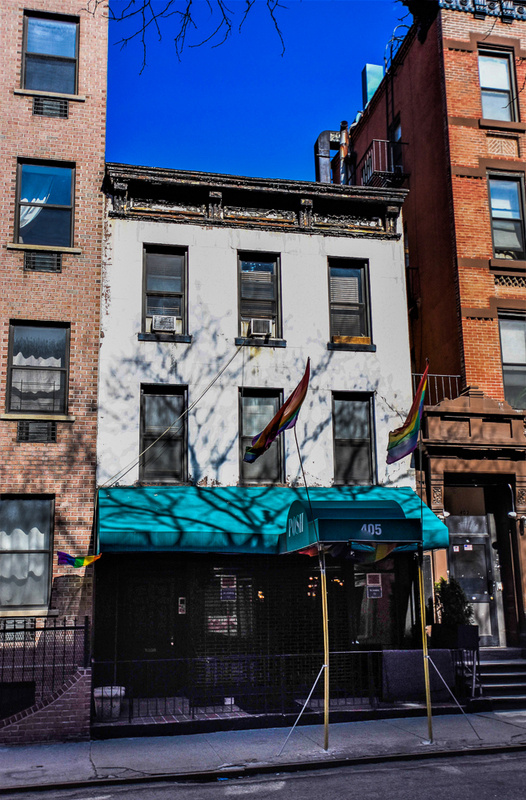 In 2000 Posh opened in the ground floor space--calling itself today "the first and original gay bar in Hell's Kitchen." Still stubbornly resisting change, No. 405 is among the last survivors on the block from a dismal period. Despite the colorful awning and alterations to the cast iron storefront, the building's rusting cornice and 1884 facade stand out as a picturesque relic. In 1890 prolific developer William E. D. Stokes teamed with builders Squier & Whipple to construct a row of upscale homes on the north side of 86th Street, between Riverside Drive and West End Avenue, and two others on the south side at Nos. 330 and 332. Each would be 22-foot wide and rise four stories above a high English basement. As construction neared completion, a near disaster was averted after fire broke out in No. 330 at around 2:00 on the morning of December 10, 1889. In reporting that no significant damage incurred, The Sun got the contractor's name woefully wrong, calling it "Squire & Wempler's building." Two months later Stokes sold No. 330, described by The Real Estate Record & Builders' Guide as a "four-story high stoop and Tiffany brick and brown stone residence." The $46,500 Victor Erbacher paid would be equal to about $1.25 million today. Born in Vienna, Erbacher was the senior member of the "dress goods" firm of Erbacher & Byram. He and his wife, the former Lavinia Alexander, who went by her middle name Anna, moved into a visually pleasing, if architecturally confusing, new home. Upper West Side domestic architecture in the 1890s routinely mixed and matched historic styles and the Erbacher house was by no means an exception. The entrance above the basement of rough-cut brownstone blocks echoed the Greek Revival doorways of the 1850s. The brownstone-clad parlor level, decorated with neo-Classical motifs above the doorway and window, gave way to three stories of light-colored brick. Here Renaissance-inspired panels separated the floors. The marriage of styles culminated in a Flemish Renaissance Revival gable with an elaborate terra cotta tympanum and spiky finials which fronted a pyramidal attic roof. The Erbachers had an infant son, Herbert, born just months before they moved in. Highly visible in society, their movements carefully documented by the press. The year following their purchase of the house, for instance, The New York Times mentioned that they were passengers on the steamship La Champagne headed for Cherbourg. Other passengers, the article noted, were Countess A. de Diesbach, and Count and Countess Roffignac. When Anna assisted Mrs. John Anderson in receiving guests at the debutante ball for her daughter Lucille on January 2, 1895, a society reporter told readers "Mrs. Erbacher wore lavender faille trimmed with point applique lace, corn-colored velvet, and sable. She wore diamonds and pearls." Close inspection reveals carved cherubs in the panels behind the drainage pipes--one playing the pipes, the other dancing. Anna opened the 86th Street house on February 3, 1896 to aid the Riverside Day Nursery. The two-day "sale of fancy articles" went on despite unfortunate weather; The Times noting "Several beautifully decorated tables stood in the large parlors, and were covered with hundreds of fancy articles, including embroideries and ornamented cakes." At the close of the sale The Journal announced it was a financial success. The newspaper listed the efforts of each volunteer, saying in part that "The cake table was in charge of Louise Stanford and Madeline Whele...Miss Juliet Clouse had charge of the flower booth...[and] Miss Elsa Whele had charge of the ring cake, and Master Dorrie McIndoe held sway over the mysterious grab bag." On July 13, 1903, shortly after the Erbachers completed their handsome summer home in Monmouth Hills, New Jersey, Victor suffered a fatal heart attack. Interestingly, Anna chose not to hold his funeral in the 86th Street house, as might have been expected; but at the Collegiate Reformed Church on 77th Street and West End Avenue. The exact amount of his estate is unclear; however young Herbert inherited what one newspaper reported was "upward of a million dollars." Before long Anna moved to the hulking apartment building at the southeast corner of Riverside Drive and 95th Street. But tragedy followed her. In the summer of 1907 Anna and Herbert, now 18 years old, were at the country house. On Saturday July 27 Herbert took the wheel of their touring car to take his mother and four other female passengers, including a 12-year old girl, for a ride. Two miles outside the exclusive estate district of Bernardsville, Herbert turned onto the private drive of former senator Samuel S. Childs. The Amsterdam Evening Recorder noted that the road "is unusually treacherous to automobilists on account of the many windings and high embankments, and is generally avoided by them." At one point in the hairpin turn Herbert slammed on the brakes. "They didn't have time to work before the car was bottom side up on the rocks fifteen feet below," wrote the newspaper. While the women were relatively unharmed, the teen-aged driver was killed instantly. "His skull was crushed and one arm and several ribs were broken and he was burned and scalded about the body." In the meantime J. L. Thompson was living in the 86th Street house. He was best known for his sporting ways and owned valuable thoroughbred race horses. In 1908 he was a competitor in the Spalding annual Lawn Tennis Competition. Prior to World War I, however, H. J. Finley had purchased both of the 1891 residences and operated them as rooming houses. In April 1918 he sold both. Florence Cohen purchased No. 330 and immediately hired architect Samuel Cohen to draw up plans to convert it to bachelor apartments. His plans, filed in May, estimated the costs at $6,500. The renovations resulted in the removal of the brownstone stoop and the entrance being dropped to street level. A large window was cut into the former basement wall. There were now two apartments per floor. While Florence had anticipated a bachelor apartment, she accepted female tenants as well. One of them was Virginia Venovens who arrived from Russia in 1919. Like many innocent newcomers, Virginia met a man who would be her undoing. He told her that he lived on Fifth Avenue and was worth $25 million. And that he was in love with her. Virginia fell in love as well. But toward the end of 1921 "his affection for her cooled." Jilted, the now 21-year old was devastated. On the night of February 4, 1922 a maid saw her stagger into the hallway from her room and heard her say "I want to die." The hopeless immigrant had swallowed iodine in her room. The maid ran onto the street and called out for Patrolman McDonald, who summoned a doctor. "After being treated she refused to go to the hospital, and declared she had no friends and would make another attempt to drink the poison," reported The New York Herald. She was taken away to a private hospital. The name of another tenant, 50-year old John Ford, ended up in the newspapers when he was arrested and accused of stealing 500 shares of capital stock. The amount of his bail, $5,000 (more than $67,000 today), suggests the gravity of the crime. The $20 deposit demanded by the owners for an apartment in 1930 was a significant amount in the Depression years. John G. Medlock earned $30 a week as a bookkeeper; but by sharing an apartment with another couple, he thought his family could afford the rent here. Medlock had married his wife when she was just 13 years old. They had a six-year old son, Neil. On Wednesday, July 8, 1930 while her husband was at work, Mrs. Medlock delivered the $20 deposit to the building superintendent, James Findlay. "On Friday, however, her husband lost his position, and they found themselves in a desperate situation," reported The New York Times. The 21-year old woman rushed back to No. 330 West 86th Street and requested her deposit back. Findlay told her that deposits were non-refundable. After pleaded her case in the West Side Court on July 7, she collapsed and had to be assisted out of the courtroom. Findlay testified he was sorry but was simply obeying the rules. Residents came and went throughout the decades, like Rose Raymond who taught piano here in the 1950s. In the meantime the private homes of the block were demolished and replaced with modern apartment buildings until No. 330 was tightly viced between two of them. Its mere 20-foot width would seem to make it unusable to developers. In 1999 the city had taken possession of what journalist Alex Mindlin called "a decrepit, century-old brownstone at 330 West 86th Street, flanked by 15-story towers." Under a state law meant to encourage the rehabilitation of "slum or blighted" buildings, the city sold the house to a group of tenants for $340,000. The conditions of the bargain price were that they would renovate the building. Instead, two years later, they jumped at the $2.25 million offered by Darkhorse Development which announced plans for a 17-story glass-and-brick residential building. While the sellers were not put off by the concept, the neighbors were. A law suit was initiated that dragged on for eleven years. One of the development firm's owners, Robert Ricciardelli, told Mindlin, "We're not doing anything crazy. We have plans to basically fill in the skyline on that lot." Finally, in April 2010 the courts ruled in favor of Darkhorse Development, as long as the replacement building would have no more than four apartment units. Ricciardelli spoke out again, saying the city had been "stubborn and illogical" and estimating his legal costs at about half a million dollars. Nevertheless he was optimistic about the future, despite the restriction on the number of units. "It sounds like something very interesting, like a townhouse in the sky," he said. Darkhorse Development obviously rethought the townhouse in the sky idea, however. In 2013 it put the building on the market on an "as is, where-is basis" saying the property "is ideal for an owner occupant, conversion to a single family, or as a luxury rental." The 1891 contrast of materials and colors has been obscured by a slathering of cream-colored paint, with the the terra cotta and stone of the gable picked out in chocolate brown, giving it a sort of neo-Tudor effect. The delightful and disrespected holdout begs for a sympathetic touch. Although the Warren family was Irish, it was considered "in the pale," or highly favored by the British. Peter Warren was born in 1703 and by the time he was 14 years old was taken into the British Navy. At the age of 20 he was a full captain with his first command. The Warrens lived in a stately home "on the Bowling Green." Wealthy New Yorkers were expected to maintain summer estates north of the city. And so on June 18, 1731, the same year he married Susannah, Warren purchased land overlooking the Hudson River north of, according to the deed, the "Old Road to Grinedge." For several years the couple used the former home of Captain Johannes Benson, built in 1700, which sat on the land as Warren enlarged his estate. Four more parcels were added, including land granted by the corporation of the city of New York in recognition for Warren's role in the Siege of Louisbourg. Eventually the estate encompassed 300 acres. 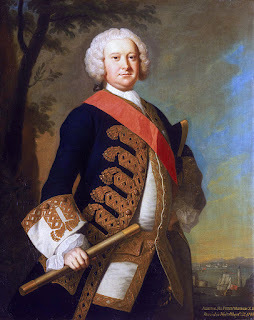 Thomas Hudson painted this portrait of Sir Peter Warren around the time the Greenwich House was constructed. The house stood about three hundred yards back from the river, on ground which fell away in a gentle slope towards the waterside. The main entrance was from the east; and at the rear—on the level of the drawing-room and a dozen feet or so above the sloping hillside—was a broad veranda commanding the view westward to the Jersey Highlands and southward down the bay to the Staten Island Hills. Historian Frederick Clifton Pierce explained in his 1901 Field Genealogy, "Originally the place extended to the Hudson river, and a double row of century-old buttonwoods formed an avenue all the way down the gentle slope to the water's edge. The house at that time was approached from the west by a circular driveway which made an extensive sweep around the lawn. This beautiful curve always remained defined, even when grass-grown. "The house stood in a perfect forest of grand old trees, horse chestnuts, willows, poplars, sycamores and locusts forming in some places an impenetrable shade. Besides these, were peach, apricot, and cherry trees, always laden i their season with delicious fruit, while a pear tree, standing guard at one corner of the house could almost thrust its giant branches into the upper windows." Susannah Warren's gardens were sumptuous. Planted with "a veritable fairyland of flowers," a profusion of varieties bloomed in flower beds and twined above bowers. Pierce noted "During the month of June, the garden was literally pink with roses." One visitor remarked that "when she left, she felt like Eve leaving Paradise." The house was unexpectedly filled in 1748 when a devastating smallpox epidemic terrorized the city. 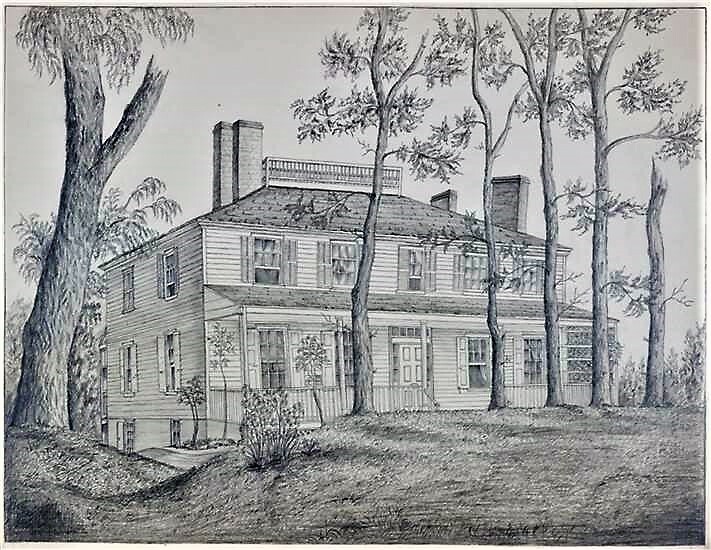 Sir Peter offered the colonial assembly the use of his country seat (variously referred to as The Greenwich House, The Mansion, or The Manse). In Pierce's words the assembly "adjourned thither to escape the plague by being in the country." Sir Peter Warren was in England in 1752 when he died. His name survives in Tribeca's Warren Street. He left three daughters, one of whom, Charlotte, was married to the Earl of Abingdon (the namesake of Abingdon Square). Charlotte inherited the Greenwich Village house "with fifty-five acres of land around about it." Charlotte sold the house and land to Abijah Hammond, who became highly visible in the local Colonial Government. On February 5, 1790 he was appointed as a grand juror for the newly-formed District Court of New York. In addressing his jury, Judge James Duane remarked on the task of upholding an entirely new set of laws. "In a charge to the first Grand Inquest convened for this District, I tread an unbeaten path. We are now become emphatically a nation." Two years later, on October 6, 1792, the Gazette of the United-States reported "On Monday last an election was held at Newark in New-Jersey, for Directors of the National Manufactory for the ensuing year." Among the 14 directors were highly influential New Yorkers like John Bayard, Nicholas Low, Herman Le Roy and Abijah Hammond. The area around the former Warren house was still rural and bucolic. But Hammond recognized foresaw the change just beyond the horizon. He subdivided his 55 acres into blocks and lots. The elegant country house now sat on a one-block parcel, facing Herring Street (renamed Bleecker in 1829) and bounded by West 4th Street, Charles Street, and the road that would later be named Perry. The house was purchased in 1802 by Whitehead Fish. He owned it until his death, after which his heirs sold it in 1819 to Abraham Van Nest for $15,000--about $288,000 today. Van Nest was president of the Greenwich Savings Bank, was a prominent merchant and a leader in church and city affairs. Van Nest and his wife, the former Margaret Field, had been married on April 5 1800 and had 11 children. They used the Greenwich Village house, initially, as their summer home. It was about two miles north of their city house on William Street. The Van Nest house was the scene of warm entertainments Rev. John Knox, the pastor of Reformed Dutch Church of which Van Nest was an elder, often stopped by for visits. His granddaughter, Euphemia M. Olcott, recalled her many visits with her grandfather years later. "It was a country residence of a gentleman, with flower and vegetable gardens, a stable, a cow, chickens, pigeons, and a peacock, all dear to childish hearts." She wrote in Bruno's Weekly in 1919, "A large hall ran through the house and a large mahogany table stood there, and this was always furnished with a large silver cake-basket full of delicious spong-cake, a batch of which must have been made every morning, I am sure, by the colored cook. And from this basket we were urged--no! We never needed urging--we were permitted to help ourselves--and we did." The Van Nest's daughter Ann was married to John Schermerhorn Bussin in the house on August 20, 1833. Bussing was a pioneer in the wholesale dry goods trade in New York, a partner in E. & J. Bussing. Later he became head of the iron and nail firm John S. Bussing & Co. The couple moved into the Greenwich Village mansion with Ann's parents. Before mid-century the family was living in the house year-round. 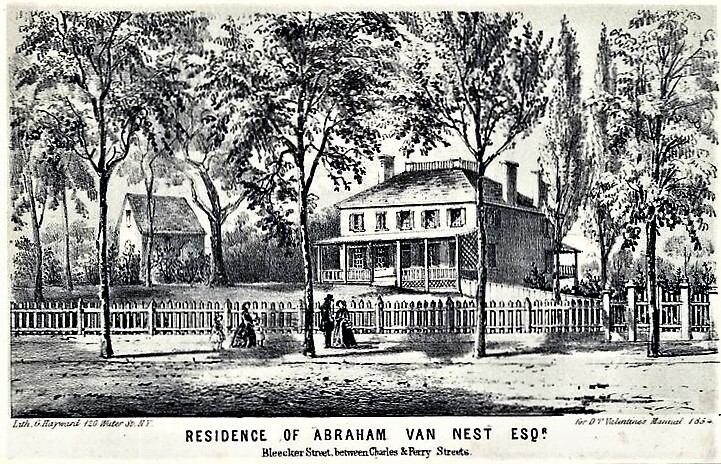 "Notwithstanding the surging waves of aggressive progress which gradually blended the city with the rural districts and absorbed them, Mr. Van Nest made this beautiful spot his home...preserving every feature of its antiquity intact, in the midst of a densely populated district of the city," wrote Frederick Pierce. The family received a fright on the night of February 1, 1858 when fire broke out. 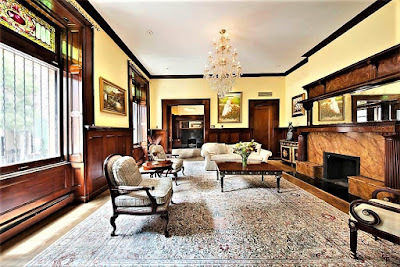 The New York Times reported "The stately wooden mansion of Ex-Alderman Van Nest, in Bleecker-street, narrowly escaped destruction by fire yesterday forenoon. A spark from one of the chimneys set fire to the roof, but fortunately it was discovered before it had made much headway, and speedily extinguished." The journalist got the history of the estate woefully wrong. "It was built nearly fifty year ago as a country residence by its present owner and occupant and at that time was considered a long distance out of town." Grief visited the mansion twice in 1864. On June 9 John Schermerhorn Bussing died; and just three months later, on the evening of September 14, Abraham Van Nest died at the age of 88. His funeral was held in the house three days later at 3:00. 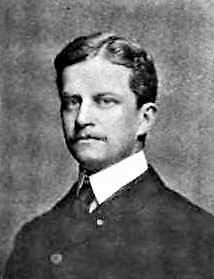 Frederick Clifton Pierce wrote that he had died "at his beautiful mansion on Bleecker Street, which had become one of the notable landmarks of the city, in 'Old Greenwich Village.' It stood, surrounded by trees, in the enter of a city block of two and a half acres." But the "refreshing oasis in the city of New York," as Pierce described it, was about to go. "Shortly after it was sold, the trees felled, the house demolished, and the whole place, so filled with sacred associations, swept out of sight." The former estate quickly filled with speculative buildings. In 1850 Livingston Satterlee constructed a three-story brick-faced home at No. 9 West 19th Street. A mirror-image of No. 7, the 25-foot wide residence featured the elegant details expected of wealthy homeowners just steps from Fifth Avenue. By the 1880s it was home to Theodore Houston, his wife, Charlotte, and their son, Theodore, Jr. Houston was vice-president of the New-York, Ontario and Western Railroad. By the time the family moved in a seamless fourth floor had been added. By late 1887 Theodore and Charlotte had moved into the apartment house at No. 80 Madison Avenue; possibly discouraged by the gradual change of the neighborhood from residential to commercial. Houston retained ownership of the 19th Street house, however. The New York Times noted in January 1888, "Mr. Houston was reported to have a comfortable fortune, and owned the house 9 West Nineteenth-street." The reason that the journalist used the past tense was explained by the first line of the article. "Just before the close of business yesterday a painful sensation was caused upon the Street by the announcement that Theodore Houston, well known as a railroad man...had committed suicide." During the next decade developer Henry Corn would be highly instrumental in transforming the Lower Fifth Avenue district from one of brick and brownstone mansions to modern loft buildings. In 1902 he purchased the 19th Street house, along with the similar one directly behind, at No. 8 West 20th Street. He had earlier purchased the property abutting the 20th Street house. The Evening Post Record of Real Estate Sales announced "He will erect a twelve-story loft building on the entire plot." Something derailed Corn's plans and the proposed L-shaped structure never came to pass. Instead he entered negotiations with restaurant operators Charles J. S. Heyl and Joseph Noethen to erect a five-story loft building that included a two-story restaurant at street level. 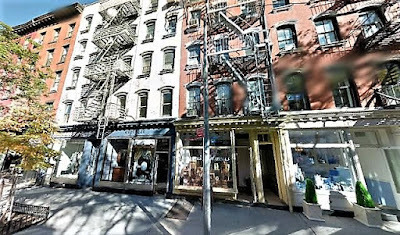 On April 4, 1903 The Real Estate Record & Guide reported that Heyl & Noethen had leased "the entire building to be erected at 9 West 19th st." The lease for "a term of years" totaled $50,000 (or about $1.5 million today). Henry Corn commissioned architect Robert Maynicke, who was already responsible for several of the developer's projects, to design the structure. Completed in 1904 the neo-Renaissance structure was faced in gray-buff brick and terra cotta. Maynicke had reserved the ornamental interest to the restaurant section, framing it in terra cotta garlands that trailed from an elaborate central cartouche. A projecting shop window was flanked by two entrances--one to the upper floors and the other to the restaurant. Diners on the second floor could gaze out the four handsome sets of French windows. Decoration of the upper floors was limited mainly to the scrolled terra cotta keystones and the rather ornate cast metal cornice. Included in the stipulations of Heyl & Noethen were living quarters for at least one of the families. Soon after moving in the Heyl family would suffer a devastating tragedy. Dora Heyl joined the cheery group which boarded the steamboat General Slocum on the morning of June 15, 1904 headed to a picnic upriver. Members of St. Mark's Evangelical Lutheran Church, the German group was composed mostly of women and children (it being a Wednesday and a workday). Fire erupted on board and, in the worst loss of life in New York until the September 11, 2001 murders, the General Slocum rapidly burned to the waterline, killing an estimated 1,021. Among the bodies identified was that of 18-year old Dora Heyl. In 1906 Henry Corn sold the building to Stern Brothers, whose massive department store sat on West 23rd Street. Heyl and Noethen still held the lease, subletting space on the upper floors to clothing manufacturers like Lion Infants Wear Co., on the fourth floor, and F. Hisch Co., makers of "cloaks and suits." In June 1911, with bankruptcy on the horizon, Heyl & Noethen took out a mortgage on their "restaurant, wine and liquor business" from another German restaurateur, the well-known August Luchow. The influx of cash postponed the failure until April 1912. Luchow was now legally justified in liquidating their fixtures and stock to repay his mortgage. Instead, he magnanimously instructed the courts that the Heyl & Noethen remain in "quiet and peaceable possession...and free enjoyment of same." At the time brothers Charles and John Seigel had lunch here every day. They were partners in the Star Piece Dyeing and Finishing Corporation at block away at No. 139 West 19th Street. Expected regulars every lunchtime, the men continued their routine for 20 years. Then on April 7, 1932 40-year old Charles was found dead in the stairway of the restaurant. He had swallowed poison. No one could imagine the motive for his suicide. The tragedy did not end with Charles's death. Two years later, on April 8, 1934, The New York Times wrote that "Ever since Charles Siegel...committed suicide two years ago yesterday, his brother, John Siegel, 40 years old, who was secretary of the concern, had missed him." John was unable to return to the restaurant where he and his brother had shared their daily lunches for two years. Then, as The Times reported, "Yesterday, the second anniversary of his brother's death, and within an hour of the time, John Siegel went to the restaurant and ate a large meal. Then he walked out toward the street. Taking a bottle of poison from his pocket, he drank a fatal dose." By mid-century the garment district had moved north of 34th Street. The former restaurant was the bookstore, Veterans Historical Book Service, by 1951. The books dealt with military history, like the Pictorial History of the Korean War which sold for $4 that year. The proceeds went to the rehabilitation funds for the National Veterans of Foreign Wars. Upstairs was the Haberstroh Film Studio, Inc., headed by Alex Haberstrom. He produced education films and was a science fiction special effects expert. In the 1950s he pioneered low-budget space films and the popular Captain Video television series. The Times noted in December 1973 that "In 1962, excerpts of his 'First Men Into Space' simulated for many TV viewers, the earth-orbiting space voyage of John Glenn, the astronaut. Among Mr. Haberstroh's other films were 'Trip to the Planets' and 'Space Probes,' produced in cooperation with Encylopaedia Britannica Films, Inc."
The tradition of a bookstore in the former restaurant space was continued in August 1995 when Revolution Books moved in. The not-for-profit store specialized in Communist and "leftist literature." It remained here until about 2011. Communist books gave way to decidedly capitalist enterprise when the store became home to Rafael Interiors (later Rafael Upholstery), specializing in "antique restoration, leather work, wall upholstery and custom built furniture." In the meantime, Robert Maynicke's handsome building perseveres relatively intact. Although the ground floor entrances have been replaced, the projecting 1904 show window (albeit with new plate glass) survives, as do the striking French windows of the restaurant's second floor. In October 1894 architect and developer Albert Wagner purchased the "old buildings" at Nos. 134 and 136 Spring Street, and at Nos. 84 through 88 Wooster Street. The properties, which formed an L, cost Wagner nearly $200,000; and the Real Estate Record & Guide predicted he "will improve the property at an early date by the erection of a seven or ten-story semi-fire-proof business structure." Wagner wasted little time in designing his new loft and store building. Plans were filed on January 19, 1895 with projected construction costs at $150,000--nearly $4.4 million today. His aggressive Renaissance Revival design included massive two-story piers of chunky rough-cut stone at street level. Above the second story, two vast four story arches were framed zipper-like by terra cotta blocks decorated with oak leaves. Wagner's additional use of terra cotta included full relief rosettes, spandrel panels of wreaths and ribbons, and three massive immense growling lion heads below the sixth floor cornice. A deeply overhanging cornice supported by ambitious brackets rose above the top floor arcade. Oak leaves fill the terra cotta quoins. The brackets of the overhanging cornice, restored in the late 20th century, are especially interesting. The Wooster Street elevation was slightly less grand, with alternating brick and stone layers replacing the hefty base piers, and with the terra cotta embellishments pulled back to rosettes tracing the fifth and sixth floor openings, smaller versions of the lions' heads serving as brackets, and decorative cast iron masonry supports adding interest to the piers at the third floor. Even as the building was being constructed tenants began lining up. On June 14 Franklin & Mirsky leased the third, fourth and seventh floors at an annual rental of $10,000 (about $24,250 per month today). The firm, which had been operating from nearby on Greene Street, manufactured wrappers and tea gowns--the ornate dressing gowns made to be worn over petticoats. Tailor to fit like a dress, women arising in the morning might even wear them to the breakfast table without risking her respectability. Within the week B. Doulton took the second floor and B. Steinberg & Co. rented the fifth and sixth. That firm made ladies underwear. The New York Times remarked "The building is now being erected by Albert Wagner, and is thoroughly rented months in advance of its completion." By the time the building was completed on May 27, 1896 Wagner had sold it. Its three tenants all manufactured apparel. Franklin & Mirsky employed 15 men, 17 women and 8 girls under 21 years old. The male and female workers most likely worked on separate floors. The firm reported to the State that in 1896 its teen-aged employees worked a 60-hour work week. It would not be long before Franklin & Mirsky felt the effects of the dawning laborer rights movement. The Annual Report of the State's Mediation and Arbitration Board for 1899 noted "On February 10th, 15 garment cutters employed at the shop of Franklin & Mirsky, 134 Spring street, New York city, went on strike because of the discharge of one of their number for an infraction of the shop rules, which they considered too trivial to warrant the discharge." The very concept of workers challenging the autocratic decisions of management would have been unthinkable a generation earlier. Now the factory workers held sway. "They remained out a week, when the matter was adjusted satisfactorily to all and they returned to work." By the turn of the century M. L. Getten & Bros. was manufacturing its "Guarantee" brand skirts here. The high-end "dress and walking skirts," sold at emporiums like Siegel-Cooper, retailed for up to $15 in 1905--more than $400 in today's dollars. 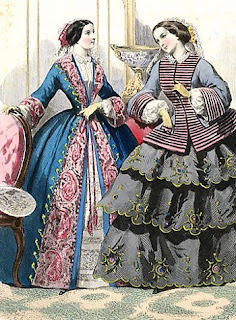 A description of a Voile Dress Skirt in January that year helped explain the high price. "Silk lined and trimmed with tailor stitched taffeta and peau de soie strapping in new designs. These skirts of taffeta silk drops finished with a dust ruffle." Although also involved in the textile industry, William M. Poz was not involved in clothing. Instead he focused on the rapidly emerging automobile industry. Many of the vehicles required cloth roofs which could be folded down in good weather. Poz acted as sales agent for fabrics designed specifically for that purpose. In June 1908 the Automobile Trade Journal announced "Wm. M. Poz, 134-136 Spring street, New York, sole agent for the well-known 'Rubba-silk' is now offering a new fabric known as 'Lohengrin,' which is composed of all silk in the fabric, and is coated with the best Para gum. It is a most serviceable fabric, and beings being rich in appearance as well as very strong and durable, it is also water repellent." Poz tantalized manufacturers by promising that in the Spring of 1909 he would be "getting out a new cloth, called the 'Cloth of Gold." This fabric, he said, "is also silk [and] is water-proof and water repellent." In the meantime, cloak makers Philip and Max Weinstein were also dealing with the labor problems. A Weinstein Brothers employee, Harry Briskman, tried to unionize the factory in the spring of 1907; but one employee went to felonious lengths. Thirteen factory workers were arrested and appeared before Magistrate Sweetser in Jefferson Market Court on March 28. All but Philip Hanken were released "with warnings." But Hanken had gone too far. He was charged "with trying to cripple the firm's business by removing three clamps from machinery." He was held for trial on $1,000 bail. The loft building that the Record & Guide had described as "semi-fire-proof" received a forward-thinking improvement in January 1909. Two years before the devastating Triangle Shirtwaist fire that claimed the lives of 146 garment workers, the New-York Tribune reported that plans had been filed "for equipping the seven story loft building at Nos. 134 and 136 Spring street with an auxiliary fire extinguisher sprinkler plant." The sprinklers no doubt eased concerns of workers; but conditions in apparel shops continued to border on intolerable. On November 23 that year The Sun reported that a general strike of 40,000 shirtwaist makers had been ordered by the union. Among the first to walk off the job were the 200 employees of Joseph Rosenberg & Co. in the Spring Street building. By the spring of 1910 things had returned to normal in Joseph Rosenberg & Co.'s shirt factory. But tragedy occurred on May 20 when 17-year old Charles Kessler was ordered to repair several leaky fire buckets. The teen was apparently not well-versed in soldering. In an attempt to thin the molten lead he poured water into the crucible. The explosive reaction sent boiling water and searing lead into the boy's face. The New-York Tribune reported he "was severely burned about the face and hands. His screams of pain frightened the two hundred girls in the factory, and they made a rush for the street." Two years later, on April 27, 1912, Gertrude Huberman was carrying cash, possibly payroll, belonging to Joseph Rosenberg & Co. Near the corner of Broadway and 12th Street, she was attacked by Henry Kirschner. The 23-year old attempted to wrest the package containing $319 from her. Gertrude's white knight did not charge in on a stallion, but in a delivery truck. James Clinton saw the assault, jumped from his truck and, according to The Sun, "gave him a beating." Kirschner was arrested and Gertrude filed a complaint of assault and robbery. The Sun reported that when he appeared before Magistrate Barlow "a pair of black eyes and a pleas of not guilty adorned [his] face." Kirschner's alibi was that he was simply trying to be a gentleman when he saw Gertrude drop the package. He told the judge that "he saw the young woman stooping down with the bag some distance away from her." Just then, he said, Clinton "pounced upon him" and beat him up. The judge not only did not believe the defense, he found it highly amusing. "Magistrate Barlow after laughing at his story held Kirschner without bail for the Grand Jury." Weinstein Brothers was still in the building at the time, now described by one journal as "one of the largest manufacturers of cloaks and suits." That year it employed 150 men, 50 women, and four office staff. In 1916 the building's owners, Germania Life Insurance Co., hired architects George and Henry Boehm to design renovations. The updating included new stairs and, possibly, the electric elevator. A new elevator operator was hired on August 14. Veteran operator Joseph Rossi started training the young man, and soon he was doing well enough to try it himself. But the novice pushed the lever "so hard that the cable flew off the drum." The elevator began shooting "upward at express speed," according to The Evening World. Rossi timed his escape and when the runaway car reached the fifth floor he leaped through the open doors. Panicked, the new employee tried to follow; but the elapsed seconds proved fatal. His body was caught between the car roof and the fifth floor. The Evening World reported "His cries caused a panic among the 200 girls in a waist factory and they broke for the exits, thinking a fire had started." A doctor arrived only minutes after the accident. He found the man alive, but pinned between the elevator and the wall of the fifth floor. There was no way to extricate him. Two hours later firemen were called. The World reported "Hook and Ladder Company No. 20 cut out a section of the wall to rescue him, but the victim, whose name could not be learned, was dead." The young man had been employed only two hours before he died. Apparel companies were still in the building in 1920. That year the textile firm of Weinberg & Halperin was burglarized. The New York Times reported on March 28 that the thieves "cut their way into the rooms of Weinberg & Walperin...They avoided burglar alarm wires and stole $9000 worth of silk." But the garment district was already migrating north of 34th Street. By mid century a new type of tenant had filled the building. Advertising specialists Dan Newman Company took space in 1956; and wholesale paper dealers Elkins Company, Inc. was here in the early 1960s. As the Soho district transformed to an arts center, the Spring Street building became home to the Persicol Gallery in 1980, and within a few years Downtown, dealers in vintage American furniture from the 1930s, operated from street level. Later in the decade Jaap Rietman, a specialty bookstore devoted to art books, opened here. Albert Wagner's elaborate sheet metal cornice had, by now, suffered severe deterioration. At one point it had to be wrapped to prevent pieces from falling to the sidewalk below. Architect Shael Shapiro was commissioned to restore the cornice and make other repairs which cost the owners about $750,000. Today the lofts where hundreds of young women worked over sewing machines in nearly insufferable conditions have been converted to modern office space and upscale shops operate from street level. Wagner's aggressive and handsome design, however, is little changed other than expected modernization like the replacement windows.